Q: I keep getting stuck on a Loading Screen, what can I do? A: This problem is caused primarily by insufficient RAM on your device. In order to avoid any kind of loading or freezing issues, as well as problems with the application crashing, we recommend shutting down all other applications on your phone while playing Taichi Panda: Heroes. Q: I've run into an Unknown error, what can I do? Specifically, I've received the "7003", "1100", or the "Google Account not found" error. Settings> Apps > All> Google Services Framework > delete data. Once the cache is cleared, try restarting the application. If the problem is not fixed, contact customer support for further instruction. Q: I topped up my account, and I still haven't received my Diamonds, what happened? A: We suggest you wait for a few hours, as sometimes purchases from the App Store / Google Play will have a delay do to the network situation. Please wait patiently, and if you do not receive your purchase within a few hours, contact Customer Support with your account name and proof of purchase. IMPORTANT NOTE: If you do not receive your Diamonds, please DO NOT attempt to get a refund from the App Store / Google Play. Accounts that are found to have requested refunds for items that they ultimately receive from the respective app stores will be flagged and subject to having their account frozen. Q: I accidentally spent some Diamonds that I didn't want to, could I roll back that purchase? A: All decisions made within the game, including the consumption of your Diamonds, are final and we cannot roll them back. Please think carefully and be aware of how you spend your Diamonds. Q: I wasn't able to log in, and I received a message that says "Character data won't be accessible for a certain of time", what is happening and what can I do? A: This error pops up when system detects hacking program running on your device. You need to check your device carefully and make sure there is no hacking or cheating program installed in your device. When this error message pops up you need to wait 10 minutes before you can enter this character again. If you are unsure what might be wrong with your device, contact Customer Support for assistance. Q: I tried logging in, but I was unable to and I received this message: "This account has entered the game"
A: This problem is not uncommon, and can be caused by network issues. What likely has happened is that you were disconnected from the game, and the game still believes you're logged in. Please wait 15 minutes before logging in, and you should be able to enter the game as normal. If this situation doesn't apply to you, contact Customer Support for more help. Q: I've downloaded the game and I got an "MD5 Error", what should I do? A: This problem happened because of network connection error. Please remove the whole Taichi Panda App from your device, including clearing your cache (see above). Then, redownload it from App Store / Play Store. While you redownload the application, be sure you have a stable connection to avoid this problem happening again. If the problem persists, we recommend restarting the whole process with a different internet connection. Q: I've run into a network error, and all the other solutions above haven't worked. What do I do? The name of your device, including its mode, and the version of your device's operating system. Q: I've gotten into the game and it is running fine, but there is no sound. What is wrong, am I going deaf? A: If you run into issues with the audio not playing in the game, please first check the in-game audio settings. Click on your "System" button in the bottom right corner of the screen. There you will find "sound" and "music", please make sure that "sound" and "music" is on. Q: I pre-registered my account but I still haven't received a reward, what gives? A: We will be sending rewards out to the pre-registration accounts in the coming days. Those who registered their account using an email will receive their code by email, they can redeem the code at our Gift Center. Players who used Facebook or Google+ will have the rewards sent directly to their character. Please be patient, as this is a process that takes time and these rewards will be sent out over the coming days. Q: I tried sharing to Facebook, but I've received an error message, what can do I do? A:When you click on the Share buttons, you may receive a message saying you first need to log into facebook. DO NOT LOG OUT AND RE-LOGIN USING FACEBOOK! 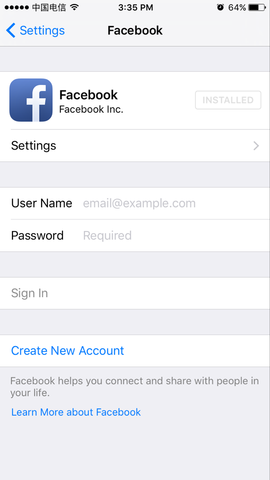 If you used a different log in method and then use Facebook, this will just create a new account. I was playing the game today. So I was told to remove the game and redownload It. I was not able to do it why? is there another way to top up? ?because we have no creditcards. 108868055935136415376 wrote: is there another way to top up? ?because we have no creditcards. You may please contact Google Play or Apple Store cause it is the payment platform issue. Any other issues, please send us an email at support-panda2@snalgame.net with your login account, in-game character name, and your server. We look forward to hearing from you, thank you. You may pay attention to the game announcement and official website to get the latest news. I'm having a problem in sending verification on my SMS everytime i try to top up. What should I do? Hello there. I've been trying for days now to top-up but there is always an error appearing. It says "an error occurred, please try again." What should I do? Because I've been trying but always error all the time. I hope you could reply and help me. Thanks.